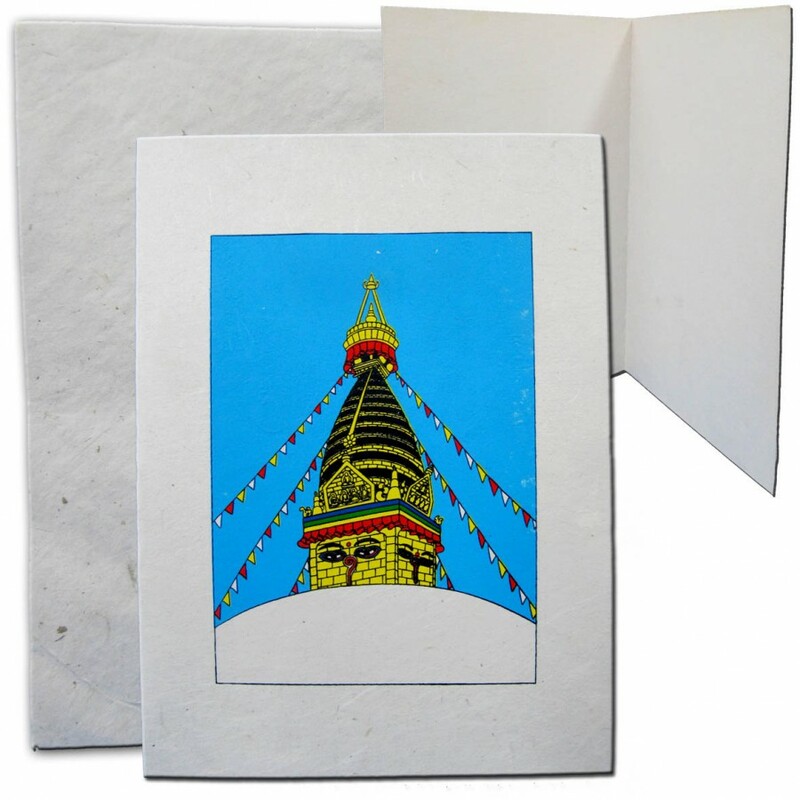 Made of handmade paper in Nepal. 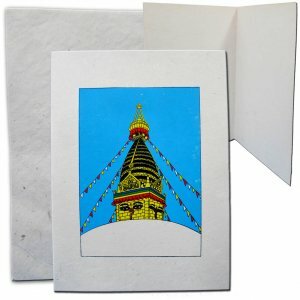 Swoyambhu, Stupa. The soul of every living being in the form of self originated light. Packet of 4, same design cards with envelopes.